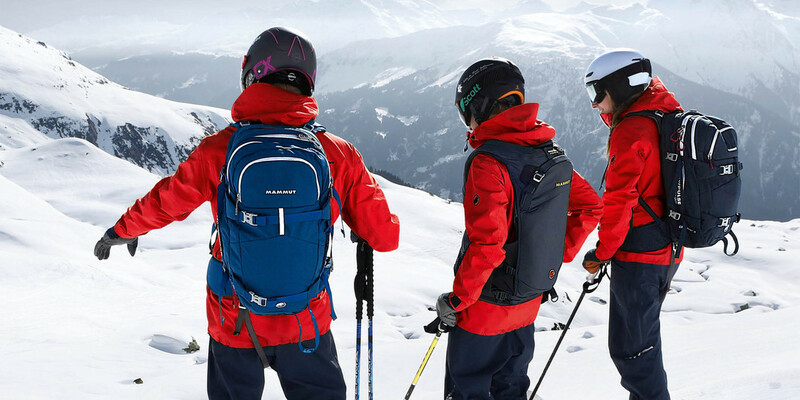 Mammut Avalanche Safety: Mammut airbag cylinders available in Japan! Mammut airbag cylinders available in Japan! Mammut airbag cylinders are now available in Japan! The Mammut carbon cylinder, a lightweight version that is also available in Europe, has recently been certified by the Japanese government and will be sold and can be rented in Japan for visiting riders. This is great news for anyone who wants to visit this destination with their Mammut airbag. The North American refillable cylinder still can not be sold or refilled in Japan, so US riders who can't fly with a full cartridge under the IATA guidelines the way the rest of the world can, have two options: 1) Fly with their fully disassembled cylinder and a Hill MK4 high-pressure hand-pump so they can fill it at their destination, or 2) buy or rent a cylinder in Japan. The Japanese and European carbon cylinders are completely interchangeable with the North American refillable cylinders--even though they are smaller, they contain the same amount of air under a higher pressure and either cylinder will work in your Mammut airbag, so if you travel there you can rest easy that you are using the correct cylinder for your pack. A number of retailers in Hakuba, Hokkaido, Nagano, Tokyo and elsewhere are already stocking cylinders and airbags. At the moment this is the list of retailers we have that are stocking Mammut airbag cylinders for purchase--it's probably a good idea to call ahead to make sure they have availability. Also, Mammut Japan is opening a larger rental network so visitors have easy access with their safety gear. Language is a significant barrier to offering better rental availability, so we've listed the best options below, plus a contact at Mammut Japan who can help people find a rental. We'll keep this post updated through the season as the options for travelers increase--at the moment this list contains all of the info we have. Hi, just wondering if you have any cylinder rental places in Niseko. Please let me know. I also want to rent in Niseko next week. I've updated the post with all of the info we have. If any other info becomes available I'll update as necessary. Thank you very much for the heads-up Kevin--our head office gave us this location from the Japanese distributor, and I don't know if it's a timing thing or they've sold out, got the wrong person on the phone, etc...I think there are likely to be some issues like this through the season, so I would encourage people to continue calling ahead. Update re: NAC in Niseko. They now have the Carbon Fiber (European) non-refillable canisters available. No rental, but you can purchase a pre-filled canister. It would be really great if there was somewhere to rent snowpulse canisters in Niseko. Are there plans for this? Yes, Mammut in Japan is working on this. We don't personally have anything to do with Japan so it's not something we can effect ourselves but it's a priority for sure. Anyone have email contact on a rental option for cannisters in Japan? Mammut in Japan has been having trouble getting a rental network going due to perceived liablity there. However, there are already cartridges in Japan specifically for rental locations, so I would contact the Japanese head office at info@mammut.jp and let them know what you are looking for. Is there an updated list for 3.0 cartridge rental/purchase in the Niseko area?